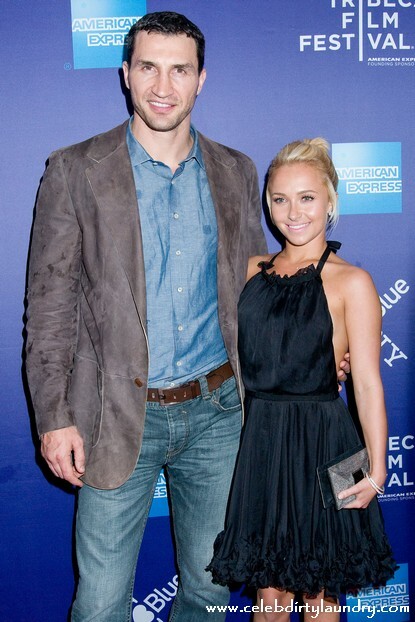 Hayden Panettiere and her boyfriend, Heavyweight boxing champion Wladimir Klitschko, have split up. The actress and the heavyweight champion boxer have decided to end their 18-month romance because they couldn’t cope with the difficulties of conducting a long-distance relationship. Hayden, 21, lives in the US, while 35-year-old Wladimir – who was raised in the Ukraine – is based out of Hamburg, Germany. Wladimir – whose brother Vitali Klitschko is also a world champion boxer – is currently in training for his heavyweight title unification bout with British fighter David Haye which takes place at the Imtech Arena in Hamburg, Germany, on July 2.